WonderFest 2014: Spreading Empowerment Through Art! Here it is! The official call for artists and empowerers! Let’s continue our contributions to a positive and creative world! WonderFest 2014 happens Sunday April 6 at Revival in Toronto Canada! Hope to see you there! 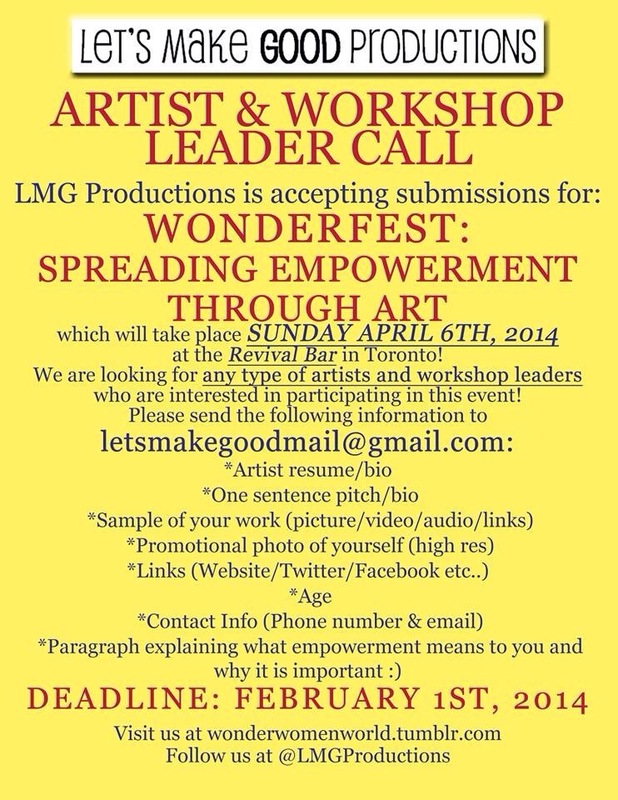 Artist and workshop leader call for upcoming WonderFest 2014 – courtesy of Kat Leonard, Arlene Paculan and LMG Productions. Empowerment through art. Check it out!